Yellow Cake flavor is consistency with great delight. All the same the taste and the breathtaking flavor are most importantly you get from this amazing flavor. 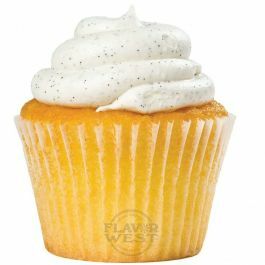 Type: Cake Yellow Water Soluble Flavoring. Ingredients: Natural and Artificial Flavoring, Propylene Glycol. USP Kosher Grade Flavoring. Usage Rate: 15-20% for E-use. Flavor suitability: Desserts, pastries and baked treats, yogurt, ice cream, candy and more. Specific Gravity: 1.14 No Refunds on Flavoring. One of the most accurately described flavor concentrates I've tried. This tastes and smells exactly as described, warm fresh delicious yellow cake. Awesome flavor! Flavor West has several 'diamonds in the rough' throughout their flavor concentrate offerings. IMO this one is - by far - their absolute best. They just completely nailed it! It has worked its way into so many of my mixes now that I'm literally considering springing for the gallon (just need to find out the shelf life 1st) ;-). This is a very good flavor, goes well with many other flavors! Authentic tasting and smelling.